School has started back and Labor Day is right around the corner. And it feels like we just got back from our cruise! Weekend after next we have a short weekend camping trip and I can’t wait. We’ll be visiting the Carnival Magic again and also camping at Port Canaveral. I can’t wait to take the kids. They are going to love it! My son is loving his school this year. He’s lucky to have three amazing third grade teachers. One teaches math and science and has lots of fun animals in her class. Another does reading and social studies and another does spelling, grammar and writing. I know this year is going to be even better than last year. With all these fun activities I don’t have much time in the kitchen. I like to make quick treats that I can prepare while my daughter naps. That’s why I love to use Athens Fillo cups. 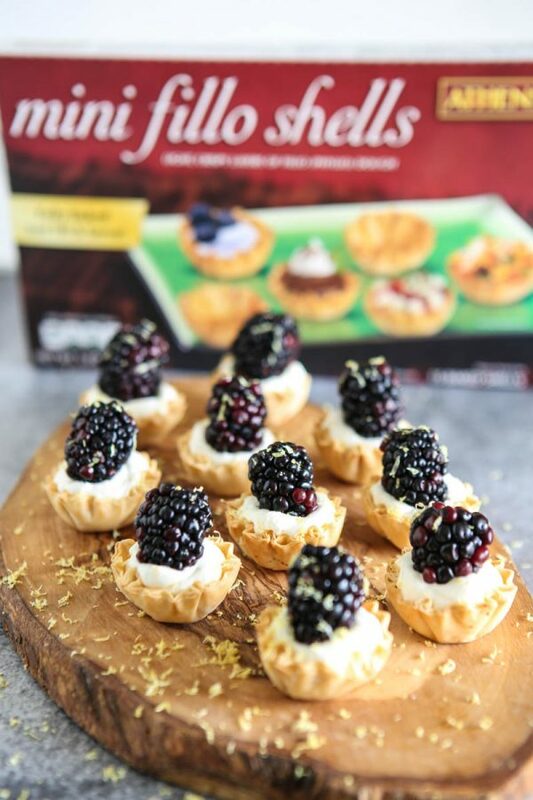 They make little treats like these so easy to prepare! 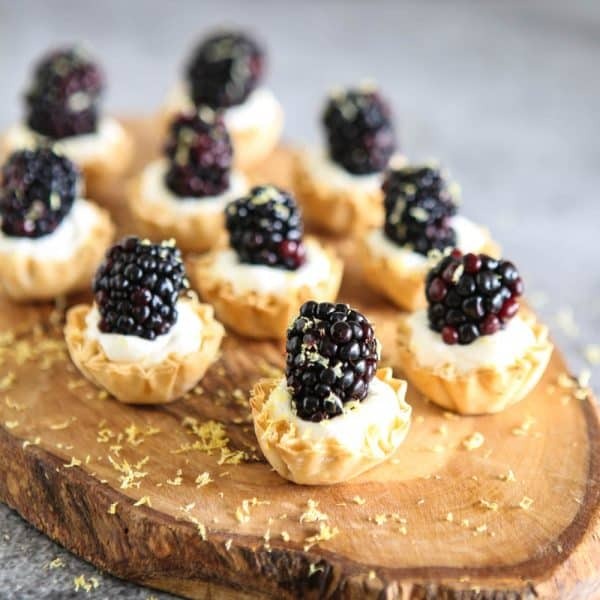 For these little Blackberry Lemon Cream Tarts I start with whipped cream cheese and heavy cream. Then I add vanilla and lemon zest for flavor and a touch of powdered sugar for sweetness. Then I blend that in the food processor until it’s a thick cream. It’s so easy. 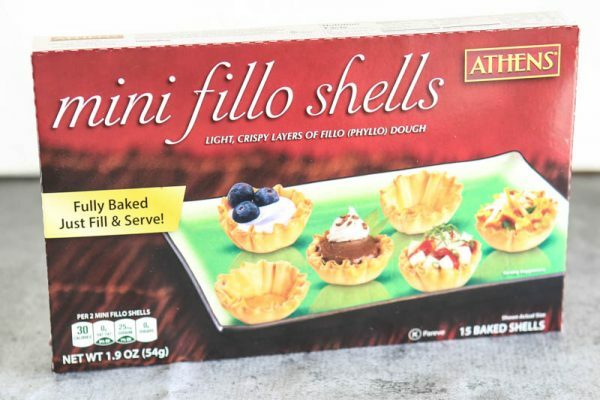 After I have the thickened cream cheese mixture I add it to a pastry bag and pipe it into the Mini Fillo Shells. Then I just garnish with big beautiful blackberries and more lemon zest. These are super simple and so delicious! You can find hundreds of fillo recipes at www.athensfoods.com. Find consumer recipes at www.phyllo.com! Be sure to connect with Athens Foods on Facebook, Athens Foods on Twitter and Athens Foods on Pinterest too! Add cream cheese and heavy cream to food processor. Blend on high until mixture thickens. Add half of lemon zest, vanilla extract and powdered sugar. Bland again until well incorporated. Spoon mixture into a pastry bag or food storage bag. Pipe into Athens Fillo shells. 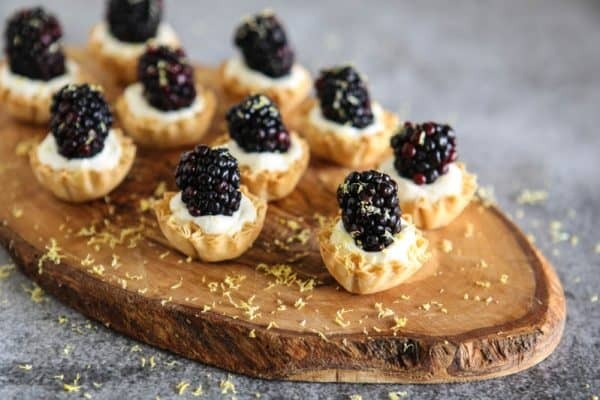 Top with blackberries and garnish with lemon zest. This post sponsored by Athen’s Foods. All thoughts and opinions 100% mine. 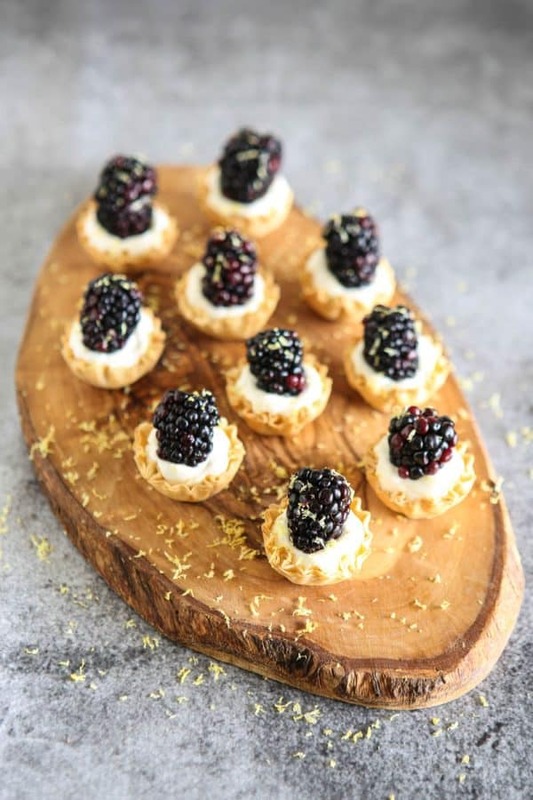 Those phyllo shells are so great to have on hand! I never saw blackberry looking better then this. Pictures say so much more than words!